Enterprise-class social networking is apparently all the rage — news that will be met with mixed emotions by anyone who feels that these tools can be more annoying than useful. The premise of these workplace-oriented social tools — things like Yammer, Socialcast(s vmw) and features and functions in IBM(s ibm) Sametime and Microsoft(msft) SharePoint, is that they help workgroups and departments work together better, know where everyone is, and cut down on phone- and e-mail tag. Social networking products, especially instant messaging (IM), took the consumer world by storm a decade or so ago with millions of users downloading AOL(s twx), Yahoo(s yhoo), and Microsoft IM clients to their PCs and phones. Many of those users brought IM into the office, where IT worried about security and compliance. That’s when IBM, Microsoft and others started coming up with enterprise-grade IM and other social tools. The problem is that the same sort of services people like to use with friends can be viewed as intrusive at work. The challenge for companies, which have high expectations for the communications efficiencies that these services can create, is to figure out how to make the enterprise versions as compelling as the consumer versions. Salesforce.com(s crm) joined the social networking party three years ago with Chatter, and Microsoft has been pushing SharePoint as a vehicle for social networking in a workplace context. As Salesforce.com rolled out its integration of its Rypple social networking-oriented HR-management acquisition into its CRM and Chatter products, Microsoft’s SharePoint team was on the road touting research into what companies “really” want in enterprise social networking. A Microsoft spokeswoman said enterprise social networking will be a big area of investment for Microsoft in the coming months. As is its habit, Microsoft attacks this market with a “platform” approach (as in, why buy plain old instant messaging when you can buy a big hunk of software?) — which puts workplace social interaction in the context of getting your job done. Right now, a lot of the talk around social networking touches on “frothiness,” said Jared Spatero, senior director for SharePoint product management in an interview Wednesday. “The discourse is all about how feeds and follows will change your life. We think it’s about task completion, not stalking people and hearing about what they had for lunch,” he said. 65 percent of respondents believe it is “absolutely essential or extremely important” to involve their IT department in creating an enterprise social network. 57 percent are inclined to use a mixture of new and existing social software. 25 percent said they will leverage existing infrastructure. 18 percent will adopt new social software. 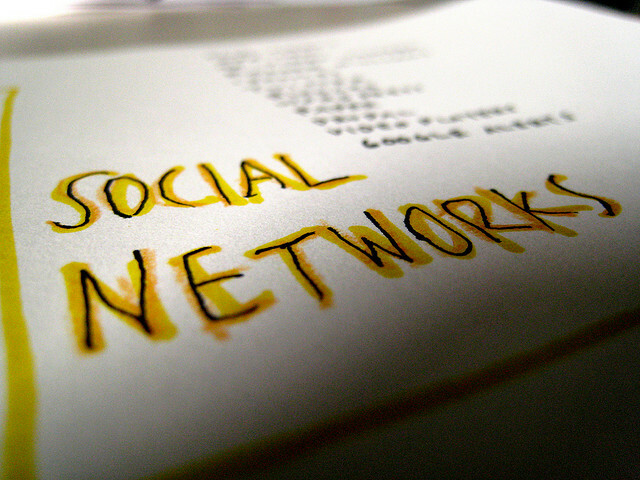 90 percent cited security as a top concern in rolling out social networking. 66 percent said integration with existing systems is a top concern. Social networking can certainly foster collaboration in a workplace — especially if group members are not in the same location — but if it’s overly intrusive, it can be more a hindrance than an asset. It remains to be seen whether any one vendor’s approach will finesse that fine point. Photo courtesy of Flickr user 10ch. At the end of the day, many teams need these kinds of platforms to work more efficiently. For instance, if your team is virtual, an enterprise social network that encourages collaboration and real-time feedback would be an asset since face-to-face interaction may not be possible. A lot of times, employees view these networks as another management ploy. So, while itâ€™s definitely easy for workers to get off-topic, the key to using enterprise social networks is to relay the benefits to your team–goals can be shared, feedback should happen in real-time, and performance praise is a good thing. By giving your team insight into why the network is a good thing, as opposed to a way to keep employees in check, it can be used correctly, benefitting the team and the organization as whole. Tools like the ones outlined here: Yammer, Jive, Chatter etc. address the question of how to make organizations more social internally, but the next logical question may be how does having conversations online at work help you get more work done? These tools may capture some worker knowledge via feeds, but do they enable (and easily facilitate) action? I don’t think they do â€” and they certainly don’t facilitate action with outside organizations (e.g., partners, suppliers, etc.) with whom large businesses work every day. And, if files are at the heart of the work we do, shouldn’t collaboration be happening around files and content (not social feeds), in order to centralize them, make them more valuable and increase overall business efficiency? Andre, this is a great comment. Social collaboration should always be in the context of results oriented conversations. I mean, if discussing your cat with a co-worker helps get the job done, great. However, I’m willing to put money on that being the exception, not the rule. Social networking at work walks a fine line between productive and distracting. I’ve found it can be a huge brainstorm booster for certain projects and topics. That being said, the conversation slowly (but definitely surely) starts to drift from professional to personal. Why are we talking about the world’s ugliest dog on a brainstorming session? It’s easy to get off topic. For those of us with ADD, these little social networking reminders/popups are the last thing we need. What we found works best is…wait for it…IRC. One of our devs modded Skype to perform IRC functions so devs can enter chats and stay in their own workgroups. Sharepoint is way too much of a dog. All we hear is groaning about it. i tend to agree Sunil, but there are times when it’s helpful to see if a colleague is online and shoot a quick IM or initiate a VoiP call — but much of the time they can be more a distraction.